Mechanical, Electrical and Plumbing system design for the renovation of a 5-story historic dormitory residence building. The interior of the building was completely demolished, including all MEP systems, structural components, floors, etc. and rebuilt from the ground up without impact on the building exterior. Plumbing system design included new domestic hot water heating and storage system replacement and upgrade at an adjacent building with extension of new hot water and recirculating hot water distribution to The A building through an existing utility tunnel. New incoming domestic water and fire protection systems were designed from campus utility mains. HVAC system design consisted of a two-pipe changeover fan coil system for resident rooms and a common area ventilation unit located in the basement level. New high-efficiency low-profile heating hot water generators were design to provide heat for the building, with a remote air-cooled chiller on site providing cooling. 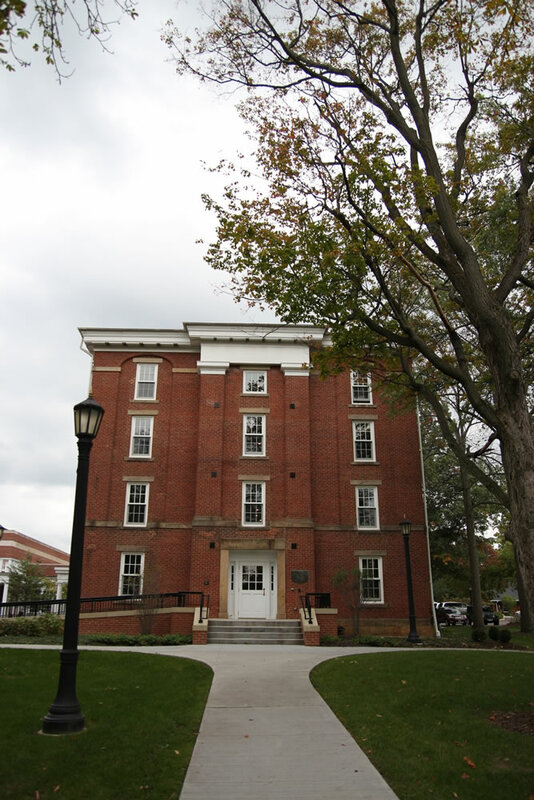 Our electrical design included a new incoming power service, custom lighting design, natural gas emergency generator back-up, fire alarm system and structured cabling design for student internet access. A new Building Management System was designed and specified to monitor, record and trend electric power, natural gas, domestic water and thermal energy (btu/h) usage, through a custom dashboard at the owner’s campus control system terminal. 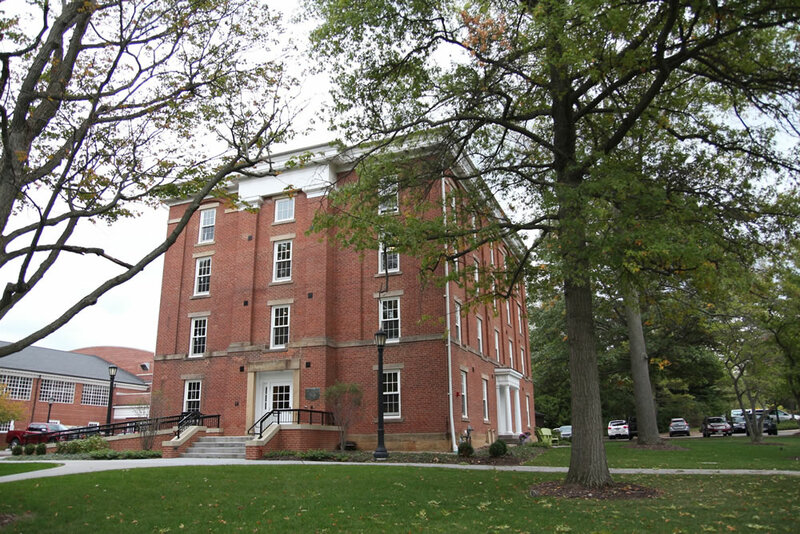 The building design included four faculty residences within the dormitory, with the basement dedicated to MEP systems, a student laundry area and a recreation room. 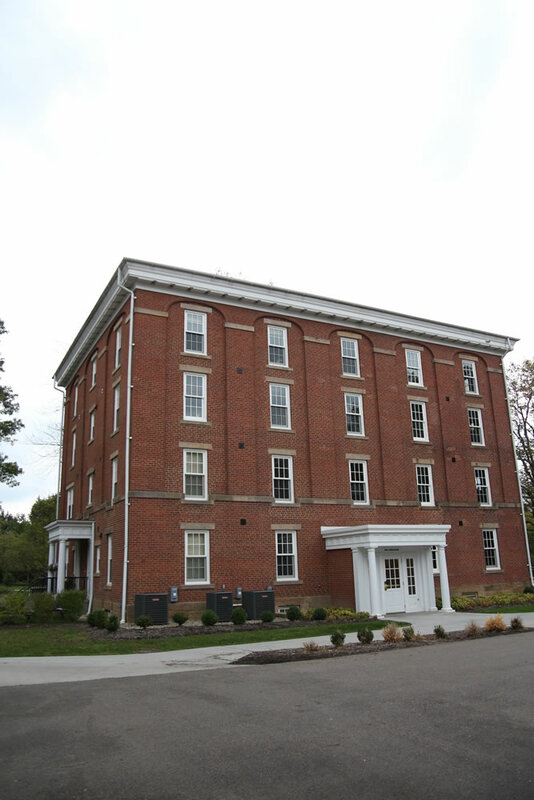 The faculty residences were designed to be as “home-like” as possible, with year-round occupancy and separate heating and cooling systems. This building was renovated completely on the interior. The building exterior could not be altered in any manner. Existing floor-to-floor elevations had to be maintained, as the windows and other façade elements could not be changed. The basement floor was excavated and lowered 2′-0″ to allow for new MEP systems, including electrical gear, panels and heating boilers and pumps. Vertical shafts up through the building were carefully coordinated with the building architectural layout to reduce horizontal runs of piping and ductwork in the basement to maximize headroom clearances. The original building was not air conditioned or sprinkled. The renovated building included new efficient HVAC systems, as well as improved life safety systems for the students. 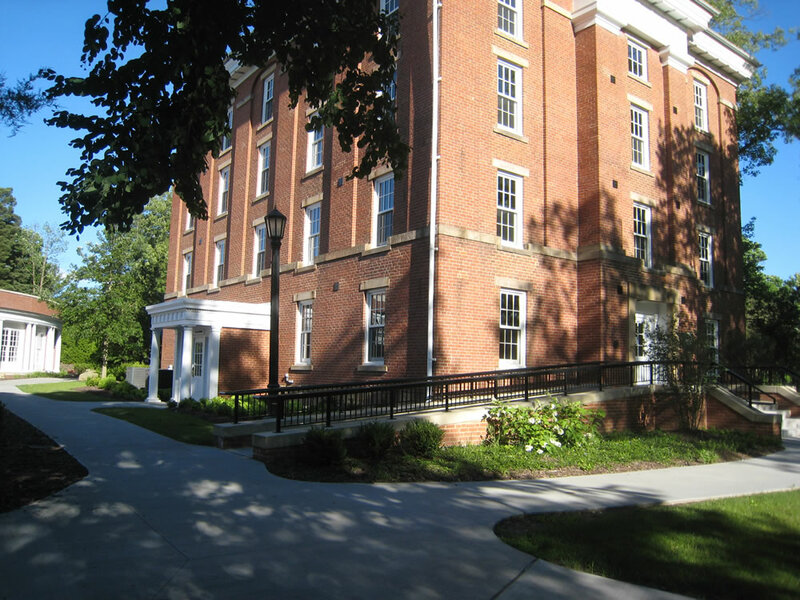 The new fire alarm system was integrated with the campus main system for additional safety concerns and reduced response time.